Most phones come equipped with a USB Type-C port these days, so that means the included charger in the box will take care of your charging needs for the most part. But let’s say you have a bunch of old chargers lying around that you’d like to get some use out of except they are microUSB. What would you do? Use USB Type-C adapters of course! Amazon has dozens of these little guys up for purchase. We’ve highlighted two options below, one that is a 3-pack of Type-C to microUSB for just $5.99, and another that is a 2-pack for $6.99. 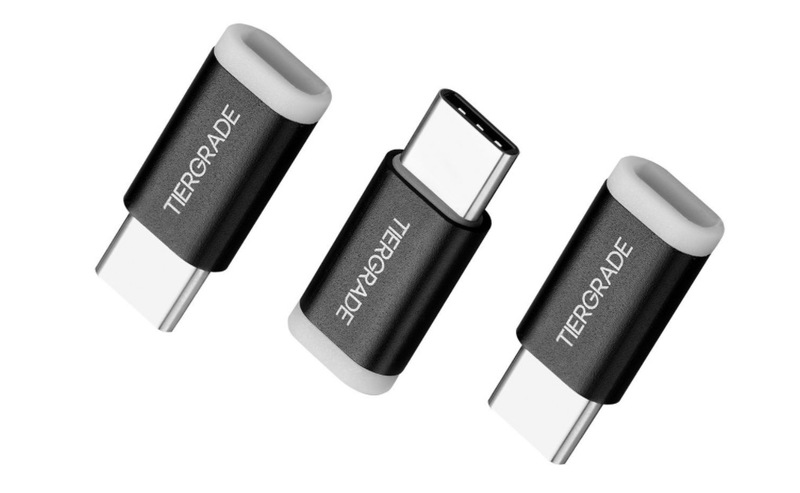 In order to use these, you simply attach them to your microUSB cables that are attached to a charging brick or computer, and then plug the Type-C tip into your phone. They are pretty brilliant and a super cheap way to get some extra mileage out of all of your old chargers. For those in the know, the 3-pack below has not been reviewed by Benson Leung (the Googler who reviews Type-C products to make sure they are safe), but has looked at the 2-pack from Anker. Either way, both are good deals and Amazon has been banning Type-C products that aren’t spec-compliant for about a year now. You should be good here.